He traces circles and figure-eights with his finger on the table as if subconsciously doing math problems where no one else can see them. 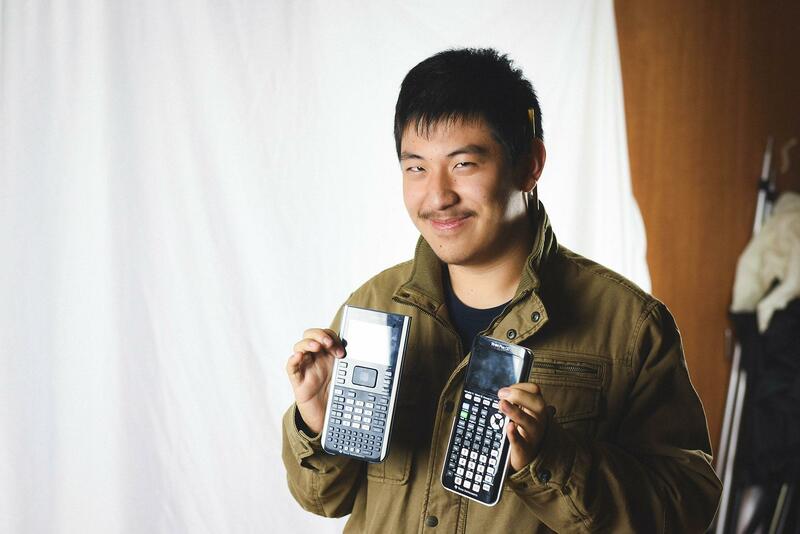 Albert Zhang’s life so far has been anything but ordinary — at least in his education. He’s 17, has skipped all four years of high school and has attended the University of California, Berkeley for one year and now attends Stanford University. And yet, Zhang’s hopes for the future are similar to that of many high-achieving teenagers, simply more accelerated. “During middle school, I took math classes at Stanford,” Zhang says. In his second year of college, he transferred there. He remembers the exact moment he found out he was accepted to Stanford. “In some ways I feel more attached to Cal than Stanford,” says Zhang. “Cal was more vibrant and there were more people. Stanford is [more strictly] a place for top academics.” Yet, Zhang believes Stanford was the best place for him to continue his studies. When asked what interesting math concept he has studied recently, Zhang sketches a handful of 3D figures and a series of numerical symbols. “I’m trying to decide what to study,” Zhang says. He is contemplating studying either Algebraic Geometry or Number Theorems. Zhang has talked to friends from Jane Lathrop Stanford Middle School who are now high schoolers about what he’s missing, or not missing. At Stanford he has had the opportunity to write for the Stanford Daily and is even the publication’s social media manager. “I like writing perspectives, but opinion has a schedule and I don’t really want to be on a schedule,” Zhang says with a laugh. Aside from all the academics, Zhang is very similar to other teenagers. He has braces, collects free t-shirts, is busy and tired and loves listening to music. “Before college, I mostly listened to songs on [the] Billboard [Music Chart], and classical music,” Zhang says. Now he has begun to explore other genres of music, and he especially likes the Beatles and The Strokes. Besides listening to music, he can also play the piano and sing. He plans on going to graduate school and like many Paly seniors is about to start the application process. Only for him the process is slightly more familiar, as he has gone through it before. As for his advice for those entering college, Zhang advises to have fun. “Expose yourself to new things. People get caught up and don’t think straight. Stay healthy physically and mentally,” Zhang says. He might be a math whiz who applied to college at the ripe old age of 13, but Zhang is, when all’s said and done, a normal college teenager. “I see him as mature and thoughtful beyond his years,” states Kyle D’Souza, who was surprised to discover Zhang’s age though D’Souza is also a young student.